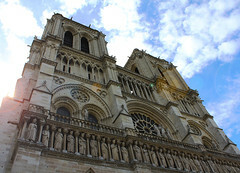 Paris is undoubtedly one the world’s most classic cities. Attracting visitors from all over the world, Paris has a unique appeal that inspires and intrigues. There are many excellent accommodation options in the city, including some great Paris hostels that make the perfect base from which to enjoy all that the city has to offer. Romance abounds in this famous ‘City of Light’ and it is easy to be seduced by the vibrant, cosmopolitan culture, while you sit indulging in fabulous food and wine under the stunning dancing light that bounces off the River Seine. Paris really does have something for everyone and whether you are a culture buff or an art fan, there are endless opportunities for visits. From the Louvre to the Arc de Triomphe, the Eiffel Tower to the Sacre Coeur, Paris is a veritable feast for anyone looking to experience a fabulous city break. The best part about choosing to stay in a Paris hostel is that you get to meet other travellers with a similar mind-set. Travelling in a foreign country can at first seem lonely, but staying in a Paris hostel will soon have you sharing your adventures with other people who are in the same situation as you, many of whom will stay in touch for years to come. Why not make the most of your hostel experience and venture out with your new friends to experience the best of what Paris has to offer? Together you can indulge in the café culture, explore the rich history and perhaps even do a little designer shopping too. The world’s streets are often a veritable display of art, so travel the world and see what it has to offer. Train travel has romantic connotations and many people have a big European train trip on their ‘trip of a lifetime’ list. Read on to find out more about how a train trip could be the adventure of your life. 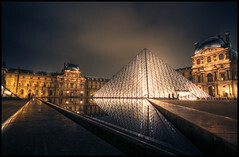 The Louvre is definitely one of the world’s most famous museums. Close to many of our Paris hostels and located right on the River Seine, this historic building contains a fascinating collection of art. Ten of the best places to see in Paris. 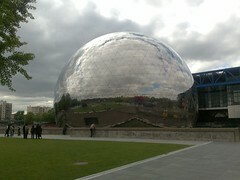 This huge urban park in the centre of Paris is only a stone’s throw from one of our Paris hostels. The Tour de Montparnasse is the tallest building in France. Why not take a trip to the top?